Top neighborhood & location! This exceptional family home offers space for all in one of Concord's most centrally located neighborhoods. This 7 (5 + 2 suites) bedroom, 5, 809 sf Victorian sits on a level, fenced .63Â± acres right around the corner from South Bridge Boat House, Sudbury River, conservation trails, and Nashawtuc Hill. The original Brooks School, built in 1860, has been skillfully redesigned with careful attention to preserving original character while blending fine finishes & modern conveniences for today's living. The gracious layout offers 10'6â ceilings on the first floor, rich woodwork, well-appointed bright, sunlit rooms & a flexible floor plan. A formal living room with floor to ceiling windows opens to the gracious dining room. The chefâs kitchen features handsome cabinetry, top-end stainless appliances, expansive dining area, butlerâs pantry all open to the family room. 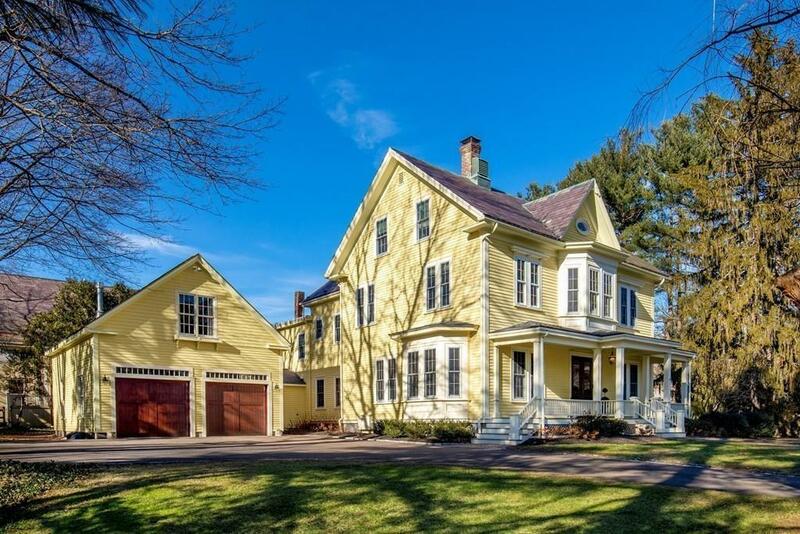 Minutes to Concordâs public and private schools, Route 2, and Boston MTBA commuter rail.